Project Management Professional (PMP)® is an industry-recognised certification for project managers. Globally-recognised and demanded, the PMP credential demonstrates that you have the experience, education and competency to successfully lead and direct projects. This product is aligned to the PMBOK® Guide - Sixth Edition. 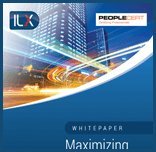 The ILX PMP e-learning is based on the PMBOK® Guide. Students view and review e-learning sessions, complete a range of interactive exercises in each session, and test themselves with a range of multiple-choice format questions. These questions are based on typical questions in the PMP examination. The course is highly interactive and engaging, containing animation and narration throughout. Built using ILX's proven development approach, the course breaks down the Project Management Institute, A Guide to the Project Management Body of Knowledge, (PMBOK® Guide) Sixth Edition into easily digested sessions, which align with each of the PMBOK® Guide knowledge areas. Each session contains lots of real-life examples that help learners to apply the theory. The course includes a wealth of interaction, including exercises and puzzles to help develop practical application and assist with knowledge retention. Learners are introduced to ILX's virtual classmates; a group of animated characters who help explore some of the PMBOK® Guide more complex concepts. Each session also includes numerous multiple-choice questions to test the users' understanding. PMP is not simply an exam-crammer - it provides a comprehensive insight into the world of projects and project management. After completing this course, learners will have a much greater understanding and will be well-prepared to sit the PMP® examination, however it is important to remember (especially with PMP) that the training course alone will not be enough to get you through the exam. You are expected to have a certain level of knowledge and experience which is reflected in the exam pre-requisites. The actual study time is approximately 35 hours - 40 hours. Note: The exam is not included in this product.If you wish to take the PMP certification you will need to contact PMI directly. Experienced project managers who want to consolidate their skills and increase their capability in their roles. If you wish to take the PMP® examination (not included) you need to fulfil certain criteria. *Leading and directing the project as identified with the tasks, knowledge, and skills specific in the Project Management Professional Examination Content Outline. You should have experience in all five process groups across all your project management experience submitted on the application. However, on a single project, you do not need to have experience in all five process groups. When you order the PMBOK® Guide – Sixth Edition (in English) you will also receive a complimentary copy of the Agile Practice Guide. The PMP exam is not included with this course. You have to apply to the Project Management Institute (PMI)® before you can sit the exam. There’s a strict protocol as they have to authenticate that the pre-requisite criteria has been met prior to exam attendance. In order to understand the PMI process we recommend you review the PMP handbook on the PMI website. If you don’t meet the requirements for the PMP, consider the Certified Associate in Project Management (CAPM)®. The PMP examination is comprised of 200 multiple-choice questions. Of the 200 questions, 25 are considered pretest questions. Pretest questions do not affect the score and are used in examinations as an effective and legitimate way to test the validity of future examination questions. All questions are randomly placed throughout the examination. Alloted examination time is four hours.